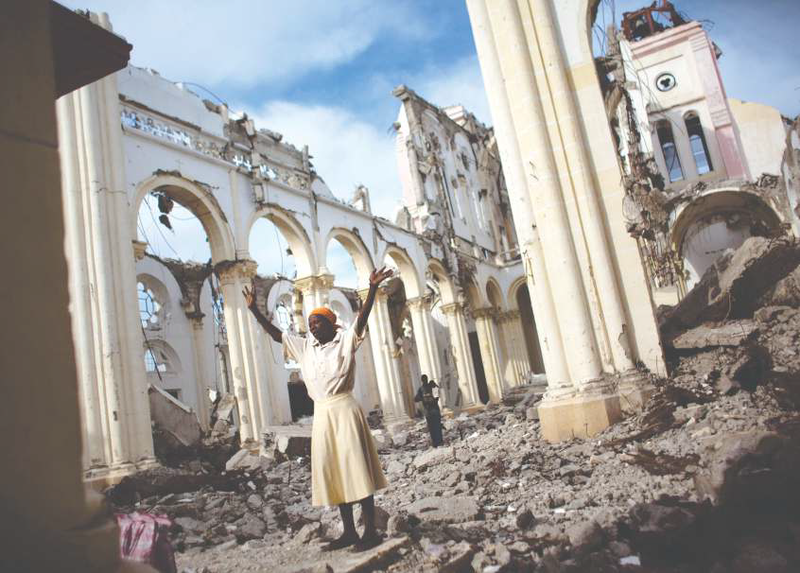 Seven years have gone by since the 12th of January 2010 when Haiti was hit by an earthquake that registered magnitude 7 on the Richter scale, the most powerful ever recorded in the western hemisphere, killing 250,000 people and devastating this Caribbean island. But there are also other countries around the world, such as the United States, New Zealand, Nepal, Japan and Turkey to name a few, that are also at risk. As far as the United States is concerned, the geographic area most at risk from powerful earthquakes is, first and foremost, Los Angeles, the second biggest city in the country. According to the Geological Society of America the city risks being hit by a powerful earthquake within the year 2040, a potential disaster with devastating consequences, with thousands of people being killed or injured and an estimated 200 billion dollars worth of damage. Another area at risk is the Mississippi delta which was hit by earthquakes several times in the 19th century. Within the same geographic area is Peru, located in an area of high seismic risk, and during the course of its history the country has been hit by several powerful earthquakes. The zone known as the North Anatolian Fault Line is also causing serious concern to geologists. This zone includes Turkey which has been struck by earthquakes 6 times in the last 40 years alone, with more than 100,000 victims. That is why the government has invested a lot of resources to improve the structural construction of the old buildings in Istanbul. The North Anatolian Fault, one of the three largest in the world, also poses a threat to Iran, which has been hit by intense shocks in recent years. Another high risk area is Nepal which, two years back was struck by a 7.8 magnitude earthquake, followed by 13 tremors with a magnitude of more than 6, causing more than 9,000 deaths and destruction of 600,000 homes. Situated in the middle of the ocean, with volcanoes scattered throughout the country, Japan is in a highly seismic area and sits in what is known as the Ring of Fire. Australia is in an inter-fault position, that is, it lies between the Pacific Fault, the Philippine Fault and any seismic activity it is subjected to the result of tectonic movements that take place a long way from the continent that are very difficult to predict. It is a different story for nearby New Zealand, one of the most high risk countries in the world as far as seismic activity is concerned, with an average of 15,000 tremors every year. In the last 2,500 years Italy has been hit by more than 30,000 medium and powerful earthquakes and, since 1900 until today, there have been 31 earthquakes on the Italian peninsula with a magnitude of 5.8 or more on the Richter scale. Earthquakes occur in Italy because it is at the edge of the point of convergence between African Plate and the Eurasian Plate. One answer to the problem of seismic upgrading and reconstruction of buildings damaged by earthquakes is provided by products and systems to mitigate the effects of seismic activity, structural consolidation and strengthening solutions that the Mapei Group has been testing and developing in their laboratories for a number of years: the FRP System line, the FRG System line, some of the products from the MAPEWOOD and MAPE-ANTIQUE lines and special technologies such as PLANITOP HPC and PLANITOP HPC FLOOR. Innovative solutions that have often been applied, and that are currently being applied, all around the world to repair existing building stock and mitigate its vulnerability to seismic events. There are a few examples of their application in building sites in Spain, Italy and New Zealand that had been damaged by recent earthquakes. They include city centres, churches, schools, hospitals, residential buildings and bridges.